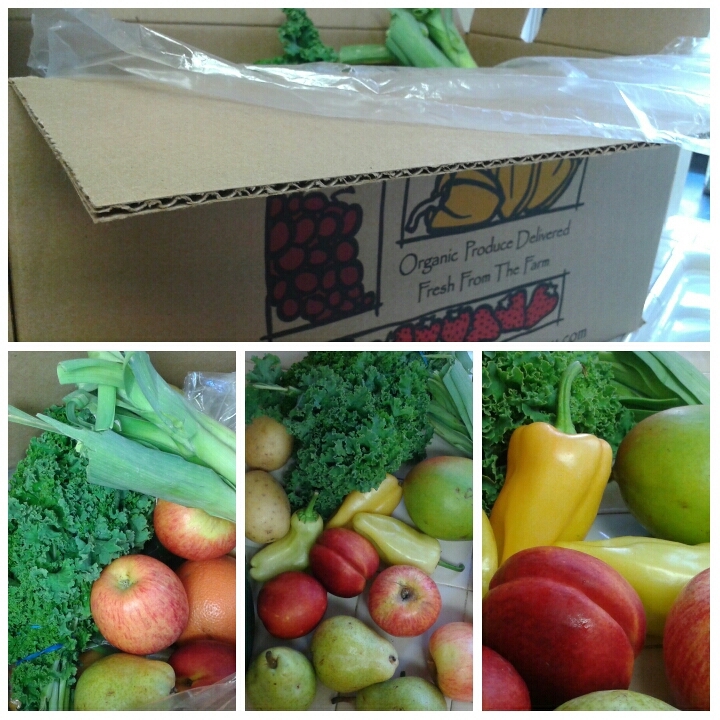 I had fun with my recent doorstep drop of organic fruits and veggies. I LOVE getting these healthy goodies dropped at my door. Check out the replay of my video on Pereiscope for the next 24 hours (search elaineswann) and check back here as I share my recipes over the week. FUN!! I absolutely love getting this delivered to my doorstep it's like opening up a box of Christmas gifts. I'm always so excited to see what's inside for the week. I've tried a couple of different programs and I am really satisfied with this particular one because they deliver the produce directly to your front door. In the past I've had to go and pick up the produce from another location and that was a little inconvenient and defeated my purpose of attempting to save time. Now on the saving money part, I really do save money. 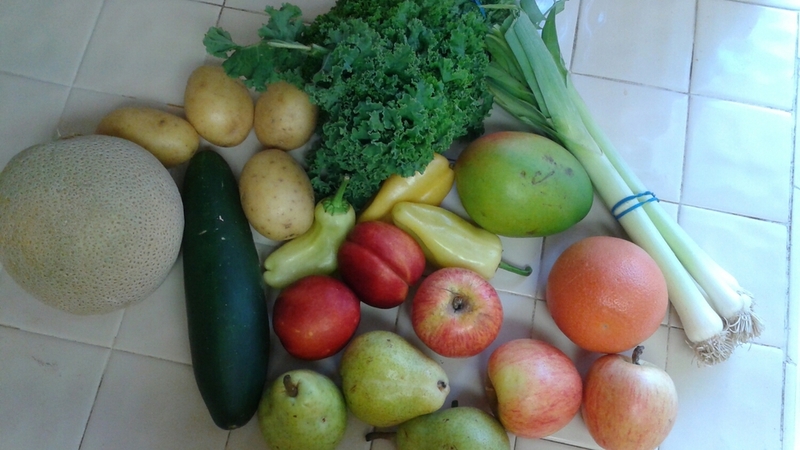 This particular box is a regular size box and runs about $33 bi-weekly that's only a little over $16 or so each week for organic fruits and veggies! You can't pay that in a retail store for this amount of food. Additionally the fruits and veggies really do last quite some time. Perhaps it's because they're organically grown and not modified with a bunch of other stuff. The other cool thing about this is I plan my weekly meals around what I have received in my box. This helps me to think ahead and of course I save time and money. I'm not quite sure what I'll be making over the next week or so but off the top of my head I'm thinking of preparing a potato leek soup. I'll let you know what I decide and I'll be sure to share pictures and recipes as well.